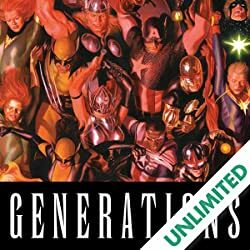 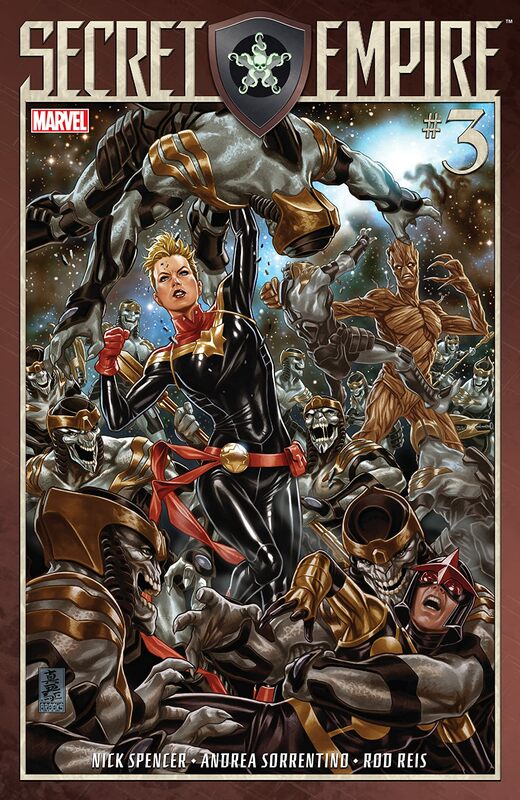 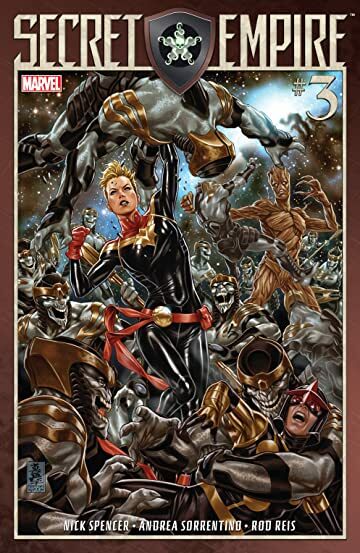 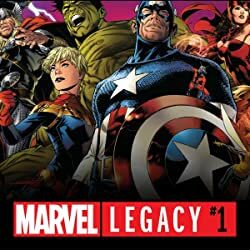 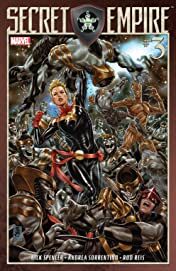 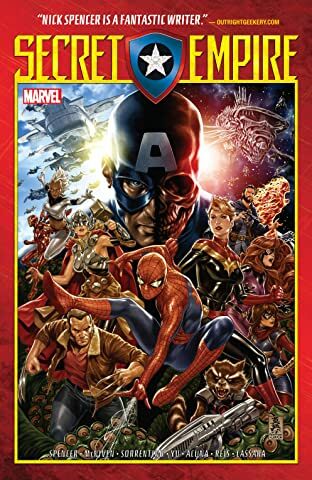 Under constant attack from wave after wave of invading Chitauri aliens, Captain Marvel and the deep space task force under her command is waging a war of attrition — one they may not be able to survive! 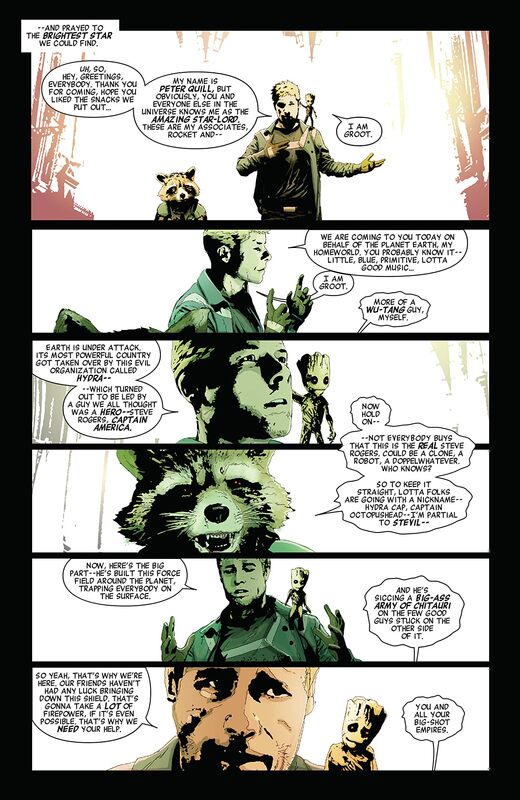 And back on Earth, things aren't looking too rosy for Hawkeye and his band of renegade heroes, either! 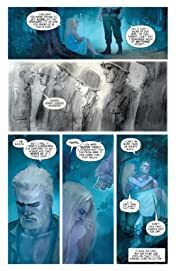 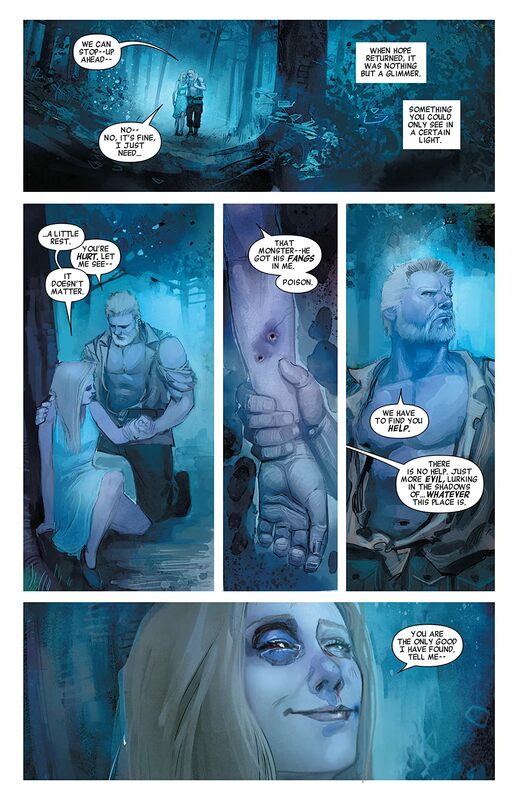 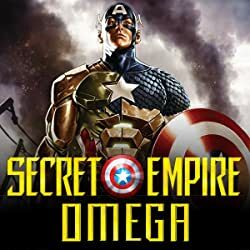 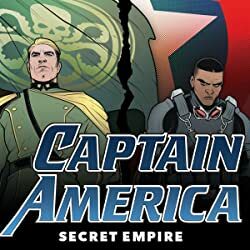 But worry not —THE SECRET EMPIRE WILL AVENGE YOU!